Mt Cook Alpine Salmon has partnered with Scott Technology and Seafood Innovations to develop an automated system for removing pin bones from highly-prized King Salmon. 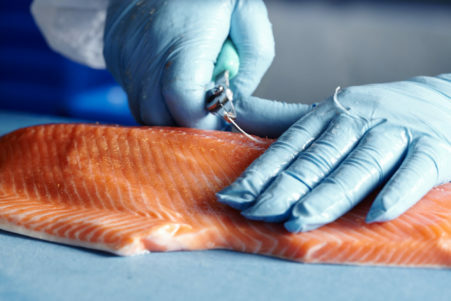 There are more than 30 pin bones in every King Salmon fillet with no current alternative to providing a ‘bone out’ product other than plucking them manually, one by one. 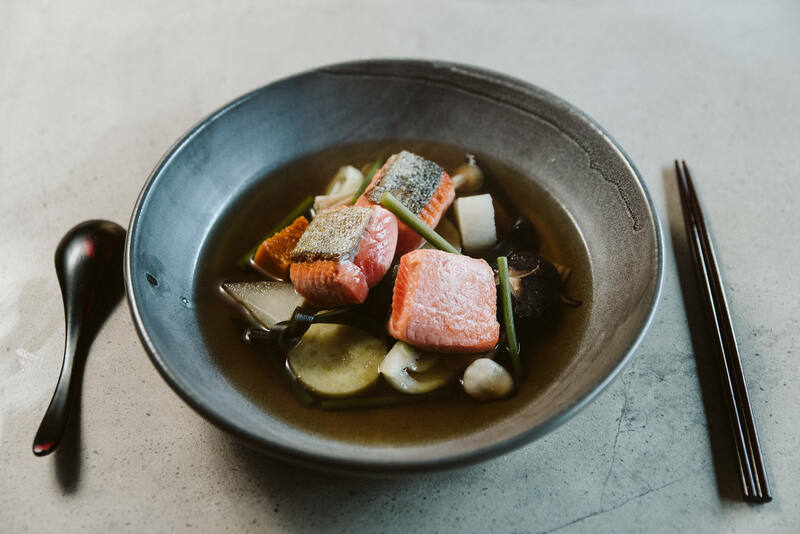 “We currently process around 500,000 fish a year through our plant and a growing proportion of our market is looking for ‘bone out’ fillets and portions,” said Brent Keelty, Manager of Mt Cook’s processing operations. Unlike the more ubiquitous Atlantic Salmon grown elsewhere in the world, King Salmon or Chinook have a finer bone structure and technologies developed for automating pin bone removal for Atlantics could not be adapted for King Salmon. 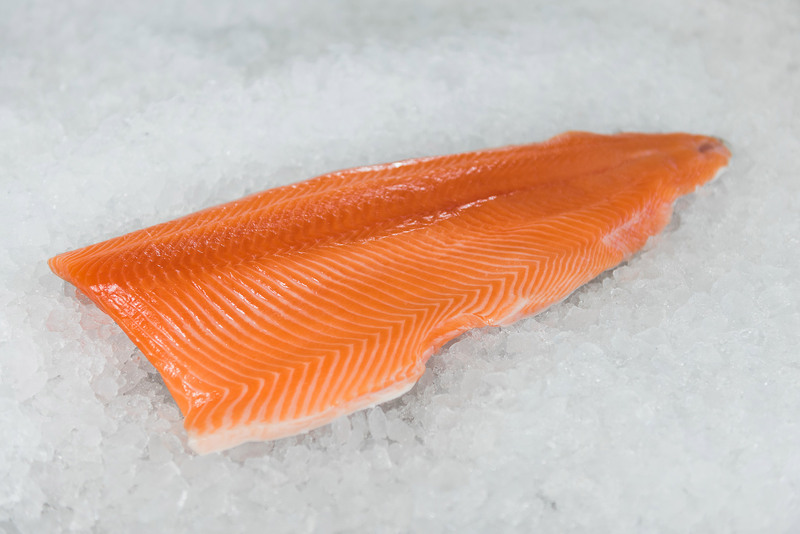 “New Zealand is the largest producer of King Salmon in the world, but overall volumes are tiny,” said Keelty. “We visited the large equipment manufacturers and they had no interest in developing an automated solution for this species because the market’s too small for them to invest. “A year ago, we partnered with Scott Technology to research various known technologies around the world and to develop a pathway that could provide some level of automated solution to the manual pin boning task. Scott Technology is a New Zealand company with widely-acknowledged expertise in imaging technologies and robotics in the food sector. “We needed their skillset to tackle a project like this, but we also wanted a pragmatic approach that would provide a staged solution along the way to a potentially fully automated solution,” said Keelty. Scott Technology CEO Chris Hopkins said the company “loved” a challenge like this. In the first instance, Scott is developing assistive hand-held devices for Mt Cook Alpine Salmon. “We will follow with some more advanced concepts deploying our machine vision technologies to develop a high-resolution 3D view of every fillet and then use algorithms to determine the precise locations of the bones in each fillet,” said Hopkins. Due to the pioneering nature of the project, Mt Cook Alpine Salmon approached Seafood Innovations Ltd to provide financial assistance and was delighted to receive more than half a million dollars-worth of backing for the project. 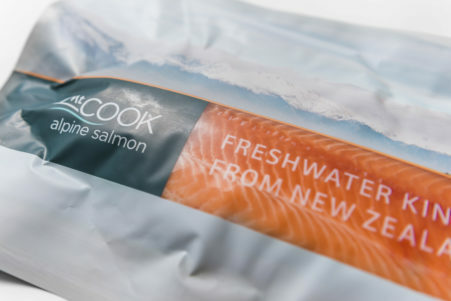 “We’re really excited about the potential this project has to deliver significant value to Mt Cook Alpine Salmon, helping the company meet growing market demand for its premium product,” said Seafood Innovations Ltd General Manager Anna Yallop. Mt Cook Alpine Salmon CEO David Cole said the company was focused on taking more value-added products into its international markets. “Smartening up on our pin boning efficiencies is just one step towards matching the cuts and offerings expected by our global customers,” he said.